Join us on Thursday 11th April from 7.30pm where we’ll be joined by some of our friends from down the road in Midleton Distillery and like all good guests, they won’t be arriving empty handed. 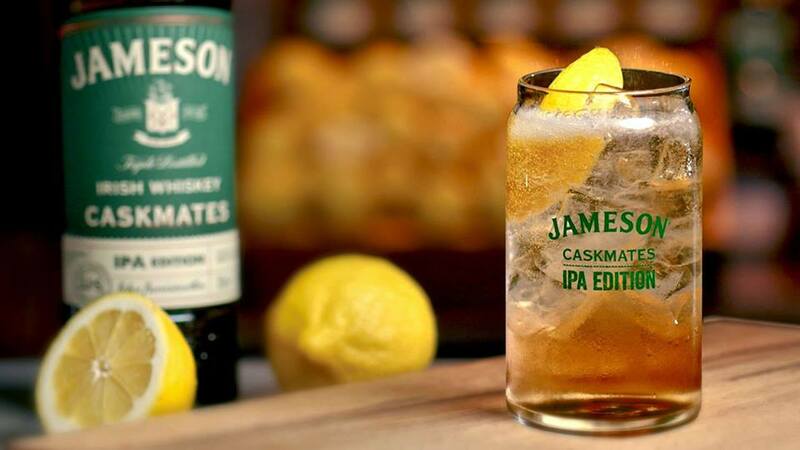 The crew will be calling in and serving up up some refreshing Jameson Caskmates IPA Edition with tonic. Never heard of Jameson Caskmates IPA Edition? Well here’s a little bit of background on the product ahead of next Thursday’s tasting. Jameson Caskmates IPA Edition is a whiskey that’s finished in IPA beer barrels giving it those floral, crisp, hoppy notes. Well, why not try a whiskey that incorporates all the great flavours of an IPA. The team in Midleton have matured the traditional Jameson Irish whiskey in Irish Pale Ale-seasoned barrels, and the end result is something really special. The folks down in Midleton Distillery are calling it the next great IPA! Basically if you’re a fan of craft beer and fancy dipping your toes in the Irish whiskey pond (not literally of course, we don’t want to be seeing any feet on Thursday evening) be sure to call in and try Jameson Caskmates IPA. It’s a whiskey with a little extra hop.